Up until recently, pilot controls have not been offered in backhoe loaders. Throughout the years, mechanical controls have been the norm. 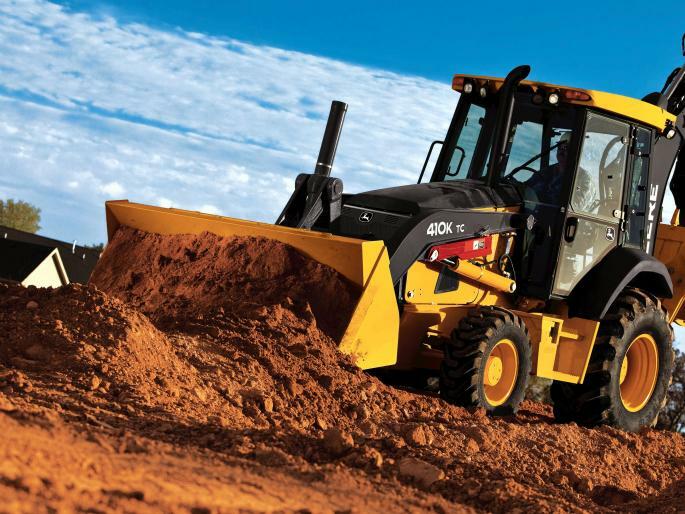 Manufacturers like John Deere, however, have begun offering backhoe pilot control options in order to meet the shifting needs of operators and companies alike. While not all operators are apt to make the switch from mechanical controls to pilot controls, whether because of initial cost or due to operational preferences, many find the pilot controls of the John Deere Backhoe to be advantageous in a number of important ways. Experienced operators enjoy the feedback received when operating a hydraulic system. In other words, if the operator encounters a hard object while digging, the increase in pressure is felt through the controls and the operator can quickly react to avoid damage. Over the years, innovations in pilot controlled backhoes have tended to focus on controllability, efficiency, and ergonomics, all of which translates to more comfortable and productive operators and, as a result, faster working speeds, greater overall efficiency, and higher flow rates. Servo controls were a step up from the manual controls but the latest electro-hydraulic pilot controls have changed the game when it comes to reducing operator fatigue. And with operator comfort directly correlated to productivity, more often than not pilot controls will end up working to your advantage in the long run. Pilot controls allow operators to quickly and easily switch from a backhoe to an excavator operation pattern, all without having to reconfigure muscle memory. Features can be hydraulically linked beyond the servo control. Operators can take advantage of automatic stabilizer options. Operators have a choice as to where they would like the pilot controls positioned inside the cab. Upfront costs aside, a movement towards John Deere Backhoes equipped with pilot controls is a movement towards two important things: continuing to take care of the needs, comfort, and health of operators, as well as maximizing productivity, efficiency, and overall success. To find out more about the John Deere Backhoes with pilot controls Papé has for sale and for rent, contact us today.